The array of cultures and eras and the beauty of the pieces is striking. 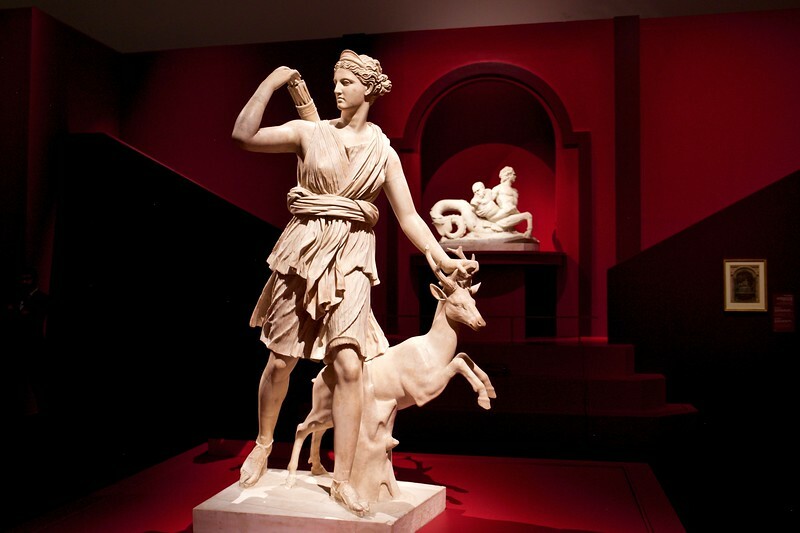 Here is a classic Diana, from Versailles' Hall of Mirrors, a marble statue of the 2nd Century. Some of the art is on loan from the Paris Louvre; much is being purchased by Abu Dhabi as it assembles its permanent collection.